This super cute mock wrap pullover features polka dot flock mesh 3/4 sleeves. Warm up top can be pulled on and off with ease. 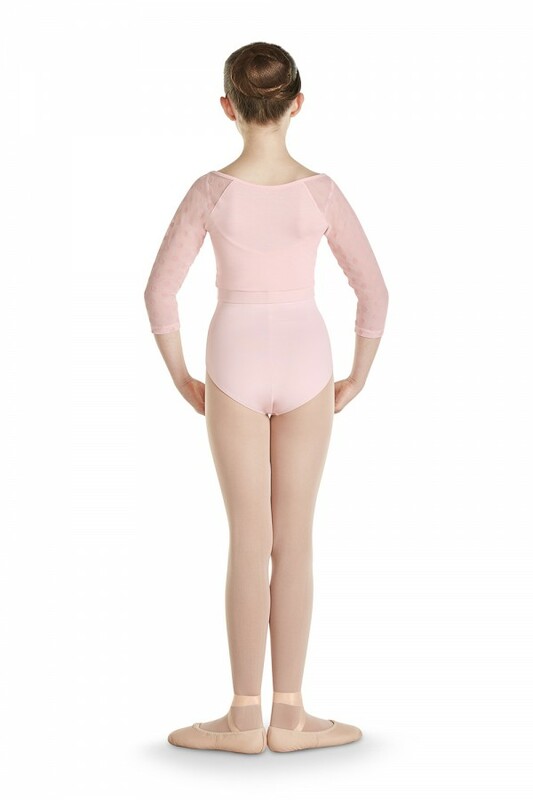 Mock cross front features a crop length which makes this piece great for layering your dance look.